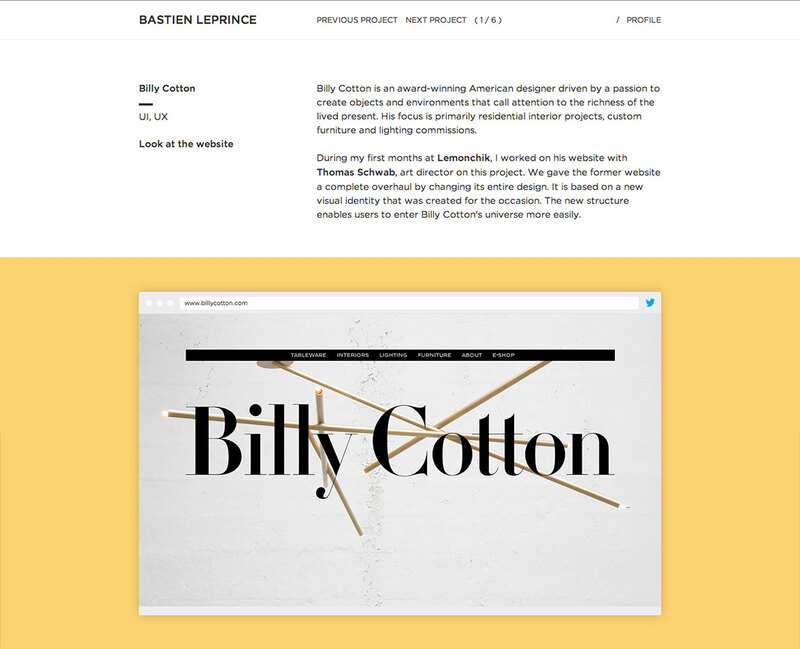 Clean flat design in this One Page portfolio for French UX designer Bastien Leprince. Nice touch with the greeting right at the bottom customized to the users system clock and also the tweet function on the icons on each project. My name is Bastien Leprince, I am a 23-year-old French Interaction Designer living in Paris and here is my portfolio. I am always after good projects so don't hesitate to contact me!